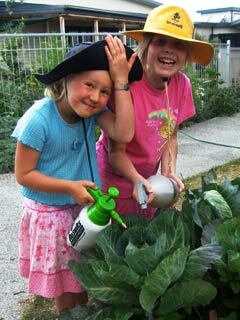 In 1988, Marsha Morgan and Pauline Matsis formed Garden Montessori School, the first Montessori Primary School in the South Island. As the school grew, it was registered and known as the Ripple Educational Community and then to Nova Montessori Primary School. By 2002, the school had established two locations – one on Manchester Street and the other on Owles Terrace. Where Nicola Gresson and Phil Gang joined the faculty team. Consolidation of both sites to the present location in 2004 was a major step towards the creation of a full time Montessori School and the foundation for the Children’s House (3-6). To facilitate that development a new Trust, Nova Montessori Centre (NMC), was established in 2005. The vision began with 3 children, now in 2018, thousands of graduates later, the roll reflects the vision of the school and settles at around 80 children. To provide a meaningful context for education in the 21st Century. Contextualised education enables learners to see the ‘whole’ in order to understand the details. It emphasises the need to integrate the curriculum – from mathematics to language, to history and geography. And to geology, zoology and botany, now known as Earth Systems Science. Art, music and drama are integrated into the curriculum as expressions of human creativity. They are also taught as separate subjects. To create learning environments that invite and encourage the potential in each person. The idea of the prepared environment or learning atmosphere sets the Montessori approach apart from ordinary education. To advance Montessori’s insight on cosmic education. In order to enable to the fundamental nature of the Universe to reveal its story. To create a Trust structure that reflects these values. Nova Montessori School and the Children’s House is located at 53 Owles Terrace, Christchurch in a residential area near a large shopping centre. 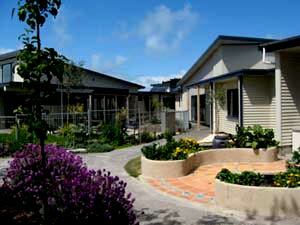 Located opposite the Avon River, there are beautiful views of the Estuary and Port Hills. It is within easy walking distance of the estuary, beach, shopping centre and library. Older Primary School children commute using the city bus system with a convenient stop near the school. Observation is an integral part of the enrolment process. All parents are invited to observe in the classroom before enrolling their child in the school. Please call the office on 03 382 0503 to make an appointment, we are delighted to receive your calls. Over the next few years there will be additional movement towards creating a more sustainable and ecological school environment. Small things like conversion to eco-friendly cleaning supplies have already been set in place. We appreciate parents sending lunches to school that do not have throw away containers. We also appreciate parent help in our effort to use less paper. Emails, online newsletters and other e-communications save paper. Nova Montessori is a co-educational and non-denominational school. It offers a multi-age environment where children and teachers form dynamic learning communities. Additional Trustees are appointed as needed.